Blog What is the Dynamic Systems Development Method? In one sentence, Dynamic Systems Development Method (DSDM) is an agile project delivery framework covering all aspects of change delivery from project initiation to benefits realisation. For more information on DSDM go to the DSDM Consortium’s website where the full method is available. I wasn’t expecting to write this blog entry but recent experiences have pointed out to me that many people don’t know what DSDM is and even if they have heard of the term don’t really understand it. This is true even for many at the centre of the agile community who really ought to know better, given that DSDM has been around since 1994, was a founder member of the agile Alliance and an original signatory to the agile manifesto. 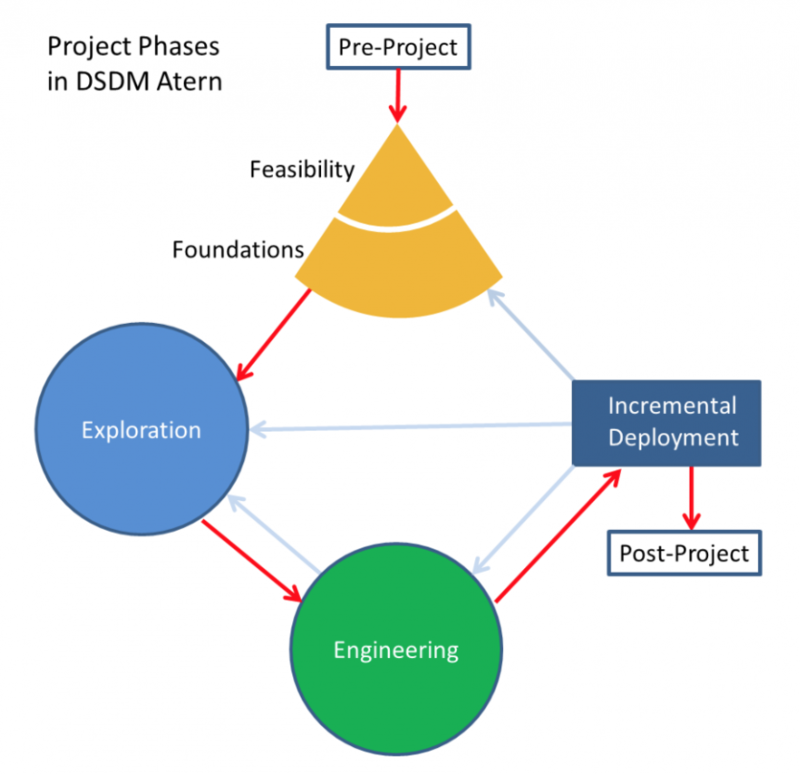 At Agilesphere we use DSDM as the basic framework because it is the only comprehensive end-to-end agile methodology. We understand its strengths and limitations and use other agile techniques to fill gaps.